Plus details on Bounce Man, the latest Robot Master. 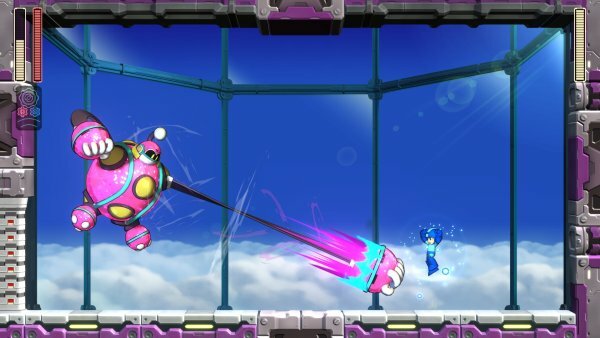 A demo for Mega Man 11 is available now for Switch, and will launch on September 7 for PlayStation 4 and Xbox One, Capcom announced. 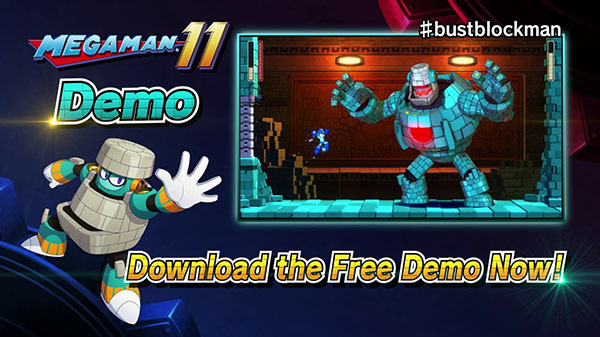 The demo allows users to play the Block Man stage with Rush by your side in three difficulty settings. 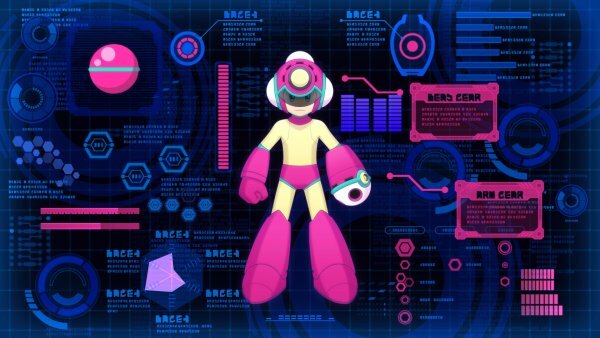 In addition to the demo release, Capcom also shared information about the game’s latest Robot Master, Bounce Man. Get the details below. With a spring in his step and a cheerful outlook, Bounce Man makes for one unlikely Robot Master in Mega Man 11. Compared to the angular Impact Man who’s driven to a point, the concerns of modern robot life simply bounce off of this smooth, round Robot Master. Don’t let appearances fool you, though; Bounce Man’s stage might just stretch you to your limits! Originally an exercise instructor, Bounce Man’s brightly-colored body and friendly appearance have made him a smash hit with children and adults alike. 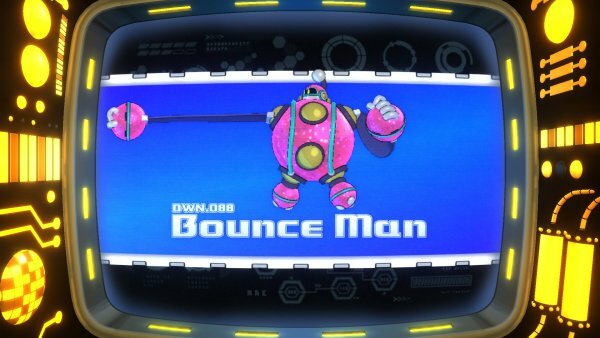 Despite taking over an indoor wonderland as his own personal playground, Bounce Man still views everything as a playful game, bouncing off the walls with joy the moment Mega Man enters his chamber. Before you reach this rubbery robot, you’ll have to hop to it and navigate your way through the vibrant Boing-Boing Park. True to its name, Boing-Boing Park is dedicated to safety first. You’ll rarely need to worry about falling into pits thanks to the noble efforts of Tosanizer V, a robot designed to keep people from jumping across gaps. Spikes are nowhere to be seen either, save for small, spiky robots called Gabyoalls patrolling along the ground that are installed for security. All that safety comes at a cost, though; bounding all over the place can make it difficult to get to where you want to go! True to its name, Boing-Boing Park will have you springing off the walls, the floor, and maybe the ceiling on occasion thanks to large parts of the stage being covered in brightly colored rubber balls that keep you on and off your toes at all times. To further complicate things, bright, spherical robots Boyorn and Poyorn will tumble around, protected by a thick rubber armor that allows them to take significant damage while happily bouncing about. You might be tempted to blast them on sight, but their high resistance to damage and tendency to rebound off of everything makes it safer to leave them alone if you can help it. However you decide to tackle this stage, you’ll want to keep an eye out for solid ground to take a breather every now and then. You’ll encounter all sorts of unusual platforming perils along the way, such as hands that recoil for a few seconds when you shoot them, only to swing around in a mighty slap when their timer runs out. They won’t cause any damage to Mega Man and are useful for crossing larger gaps that you may not be able to reach otherwise. Careful as you’re bouncing around, though; Bunby Balloons, robots designed to search for lost children, often seem to float right into your jumps. Their balloons are armored, making them difficult to pierce with regular attacks… and raising a lot of questions about how these robots stay afloat to begin with. As you spring ever upwards through this vertical stage, you’ll eventually encounter the massive, dangerous, terrifying… Frog Balloon? Despite being a mid-boss, this famous mascot of Boing-Boing Park is rather cute. 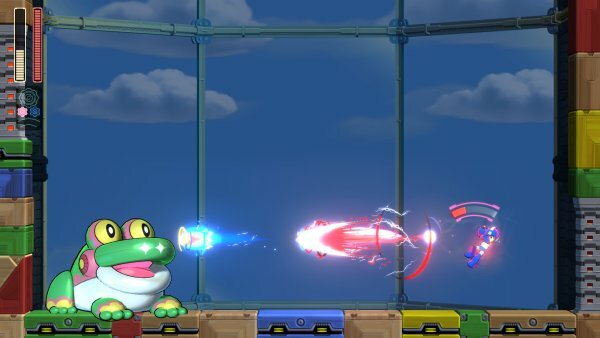 Much like the rest of the stage, looks can be deceiving; Frog Balloon has a way of catching you off guard with his stretchy tongue, capturing Mega Man before crashing into him. Unleash everything you have to deflate him when he’s not hopping about, but keep your wits about you! The diligent Pump Master K is always around to patch things up if Frog Balloon pops. You’ll need to burst Pump Master K’s bubble if you want to take out Frog Balloon for good. Once you’ve made the final climb to Bounce Man’s chamber, he’s all ready to show off his skills to a new playmate. 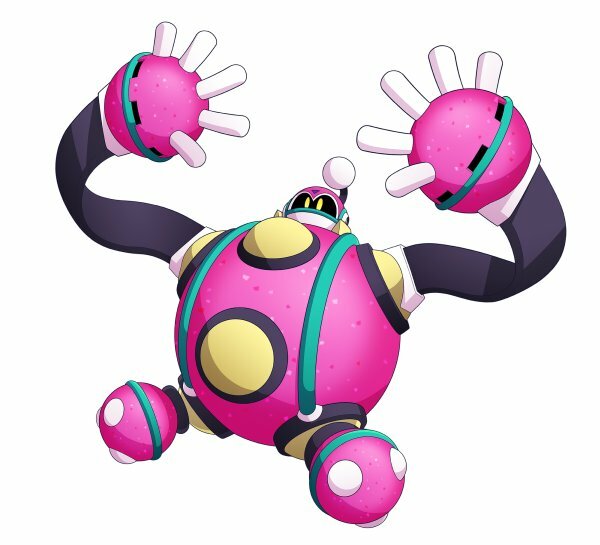 As his name might suggest, Bounce Man likes to tumble around the room, rebounding off the walls before crashing into Mega Man. He still seems a bit unaware that he’s supposed to be a force for evil, but nevertheless uses the Speed Gear to bounce around at high speed as the fight goes on. 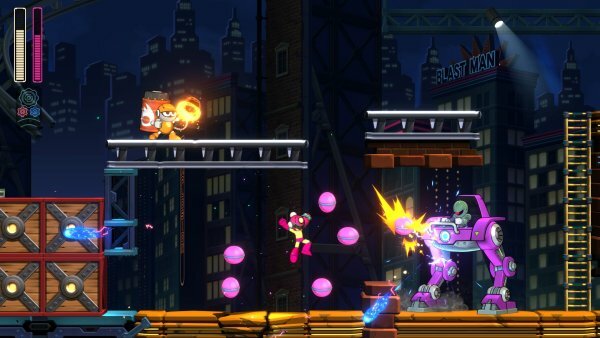 Utilizing your own Speed Gear can make life a bit easier, and a solid shot from the Power Gear can turn the tide in your favor – though the extreme force might have unintended consequences on Bounce Man’s systems! He may be tough as rubber, but if you can best him, you’ll grab a weapon befitting of this Robot Master: Bounce Ball. 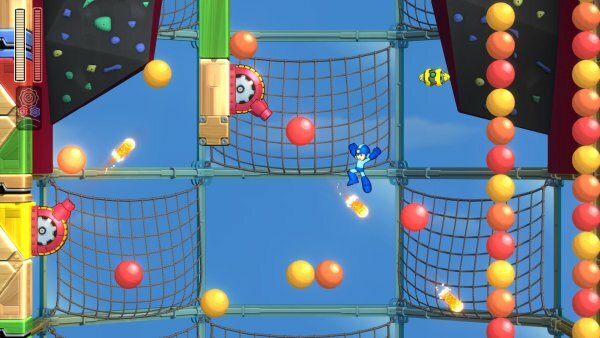 Firing three rubber balls in front of Mega Man that can be tilted up or down, each projectile will rebound off the walls and enemies for a bit before bursting in a spray of confetti. You can have several shots on screen at once, and unleash colorful chaos with the Power Gear to fire off an additional three bouncy balls behind you with every use. Mega Man 11 is due out worldwide for PlayStation 4, Xbox One, Switch, and PC on October 2. Watch a trailer below. View a new set of screenshots at the gallery.